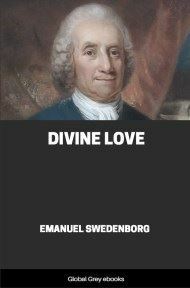 Emanuel Swedenborg's Invitation to the New Church was not a published work but a draft in Latin that was begun sometime in the 1760s but left unfinished at his death and found among his papers. 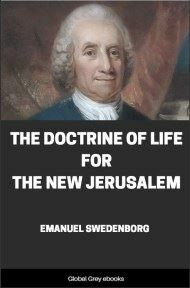 The concept of the "New Church" was introduced and explored at length in Swedenborg's long book The True Christian Religion: Containing the Universal Theology of the New Church, published in Latin in Amsterdam in 1771. 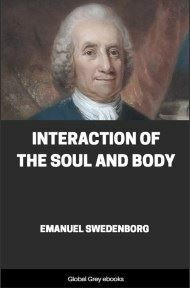 The Invitation is a summary of some of the salient teachings set out in the work he saw published. 1. There is no true church unless God is one, and unless he is Jehovah God under a human form—and thus that God is man and man God. 2. The doctrinals contained in True Christian Religion agree with the doctrinals of those of the Roman Catholic church, and with the doctrinals of those of the Protestants, who acknowledge a personal union in Christ, and approach Christ, and who partake of the two elements in the eucharist. 3. Various causes why now, for the first time, and not before, the above truths of the church [have been revealed]. Among these causes is this, that the new church is not established before the former church is consummated. From the heresies which arose after the time of the apostles. Why the Romish church arose. The causes of the separation from that church, [as from] an unworthy mother. Why the Greek church separated from the Romish. 5. Various things concerning miracles; that they have destroyed the church (also from the Lord’s words in Matt. 24). 6. That all things tended in this direction, that men who were called saints were to be invoked. 7. That this church is not instituted and established through miracles, but through the revelation of the spiritual sense, and through the introduction of my spirit, and, at the same time, of my body, into the spiritual world, so that I might know there what heaven and hell are, and that in light I might imbibe immediately from the Lord the truths of faith, where man is led to eternal life. 8. The Advent of the Lord (from the Word and the creeds). 9. 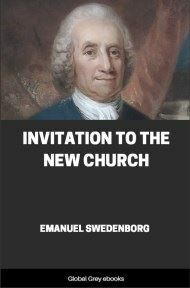 Invitation to the new church, that men should go and meet the Lord (from Rev. 21—22; and also from Chap. 1, etc.). 10. 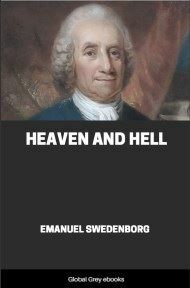 Hereafter they are not to be called the Evangelical, the Reformed, and still less Lutherans and Calvinists, but Christians. 11. Several things concerning miracles. All thine are mine, and all mine are thine (John 17:10). From the expression “all mine are thine,” it is evident that the man is God; and from the expression, “all thine are mine,” that God is man. 2. During man’s regeneration, the light of heaven is instilled into natural light, and at the same time the heat of heaven; these two constitute, as it were, the new soul, through which man is formed by the Lord. This light and heat are instilled through the higher mind, which is called the spiritual mind. By virtue of this instilling, or insertion, man becomes a new creature, and becomes more enlightened and more intelligent in matters of the church, and consequently in the reading of the Word. This also is the new understanding and the new will. Afterwards the man is led by the Lord through the above light and through the above heat, and from natural becomes spiritual. 3. There is a still higher or more interior light and heat, which is called celestial. This is inserted and instilled into the former spiritual. The angels of the third heaven who are called celestial are in this light and heat. 4. This insertion may be explained by a comparison; namely, by the grafting and inoculation of trees; where the grafted slips receive [the sap] interiorly in themselves, according to their form, etc. 6. Miracles close the internal man, and deprive man of all that free will, through which and in which man is regenerated. Free will really belongs to the internal man; and when this is closed up, the man becomes external and natural; and such a man does not see any spiritual truth. Miracles also are like veils and bars lest anything might enter. This bar, or this obstruction, however, is gradually broken, and [then] all truths become dispersed. 7. It is said by the church at this day, following Paul, that faith enters through the hearing of the Word; and some add to this, through a certain meditation from the Word. This, however, is to be understood thus, that truths ought to be drawn from the Word, and that man ought to live according to them. In this case, the man approaches the Lord, who is the Word, and the Truth, and receives faith; for each and all truths are from the Word, which is spiritual light. Thus faith is acquired; because faith belongs to truth, and truth belongs to faith; and nothing ought to be believed except the truth. 8. That there are numberless evils interiorly in man; yea, that there are numberless evils in every lust. Every lust of which man becomes conscious, is a mass and a heap of many things. These things the man does not see, but only the one mass. When, therefore, the man by repentance removes this, the Lord, who sees the interior and inmost things of man, removes them. Unless, therefore, a man approaches the Lord, he labors in vain to render himself free from sin. The case herein is as with those things which were written in a relation concerning turtles [see True Christian Religion 462].